The City of Victoria, BC is located on Southern Vancouver Island – full of ocean views and mountain vistas. Along with its natural beauty and temperate climate, Victoria hosts a mix of modern city-scape buildings alongside charming heritage architecture. The City works hard to balance strategic plan goals and objectives with budgets to meet the needs of its residents and businesses. 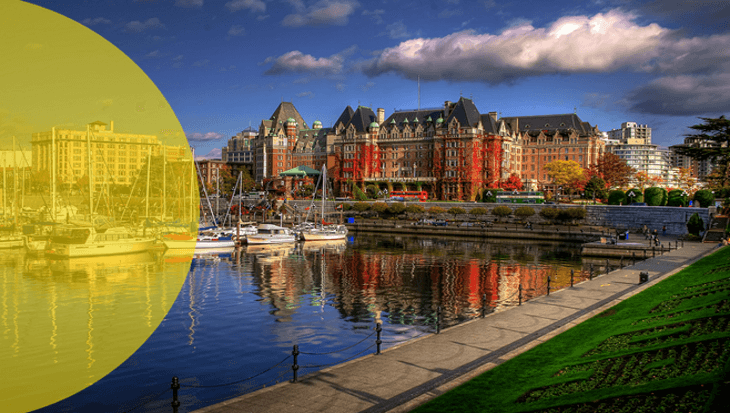 The City of Victoria identified that a consolidated budgeting solution would reduce labour intensive manual processes, improve efficiencies, and enable them to spend more time on forecasting, planning and analysis. The City needed one application to house their budget information that would reduce manual processes and provide greater control. The City of Victoria determined that Questica Budget met their requirements and was the most user-friendly. Although Victoria’s budget preparation was straightforward and typical for a municipality, it was labour intensive and time consuming. The City has a legislative requirement to develop a 5-year Financial Plan including both Operating and Capital budgets. However, the City develops a 20-year Capital Plan. The first step in the budget process was to confirm with Council that the direction set out in the 5-year Financial Plan was still acceptable. Departments then received budget guidelines and budget totals to work from. Departments entered their data into Excel, Word and their in-house web application. Once all budgets were received, the Finance Department began the arduous process of compiling the data into one master spreadsheet each for Operating and Capital as well as a master Word document for Capital. This took upwards of one month for each and relied heavily on manual labour to pull the figures from the various sources. Meaning that much time was spent on balancing all the sources to ensure no mistakes were made. The Financial and Capital Plan documents, developed in Word and Excel, involved a great deal of manual effort including cutting and pasting. Adjustments made to budgets before or during Council review, meant updating both Word and Excel, which was time consuming. Salaries and benefits posed a specific challenge to the Finance Department. They had no tool to easily track and report on budgeted positions. In the payroll system, salary data was associated with people rather than positions and it was difficult to keep track of changes, especially relating to vacant and auxiliary positions. The disconnect for departments was a frustration during the budget approval process. Their submitted budget requests were at times revised and it was difficult to track where and why the changes occurred. The City knew they needed a consolidated solution that could handle the complexities of their municipal budgeting in a flexible and easy to use manner. Having implemented new financial and payroll systems in 2003, the City of Victoria identified budgeting as a major gap, and realized they would need to find a solution to address this. Through an extensive RFP process, they narrowed their choice down to two solutions. Based on a list of functional requirements and feedback from several end users involved in the selection process, the City determined that Questica Budget met their requirements and was the most user-friendly, which was key to gaining staff support. Nearing completion of their first budget cycle with Questica Budget, the City of Victoria has been pleased with the functionality they now have available to them and looks forward to further enhancing their budget capabilities. Salaries and benefits represent most of any municipal Operating budget — for Victoria it is about 60%. Questica Budget’s Salaries module enables the Finance Department to allocate position costs to as yet un-assigned positions, providing them with accurate long term costs and forecasts. Position costs can be allocated to numerous cost centers and gives the Finance Department the tools necessary to forecast for this huge investment. Several end users were involved in the selection process and all indicated that Questica Budget was the most user-friendly application they tried. Our budgeting solutions were designed with the end user in mind—it is key to ensure that the learning curve is not too steep. This will also result in users leveraging the system to further enhance their budgeting processes. Departments maintain a clear view of their budgets as they proceed through the approval process, eliminating surprises at the end. Historical data, including any changes made to the budget during approval, are maintained for reference purposes. Questica Budget provides the City with one point of entry for all budget data. Supporting documents can be associated with cost centers or budget data, and council ready reports are easily accomplished with our powerful reporting tool. The process of compiling budget data in one central location eliminates the danger of clerical errors, missing data links and a broken chain of information. The process is also made much more efficient by eliminating the time-consuming process of balancing data from multiple sources. The responsiveness of the staff at Questica has proven invaluable to the City of Victoria. Our team always presents multiple solutions to concerns or issues raised, enabling the City to choose the solution best suited to their needs. Thanks to more efficient budgeting, Victoria is brilliant.